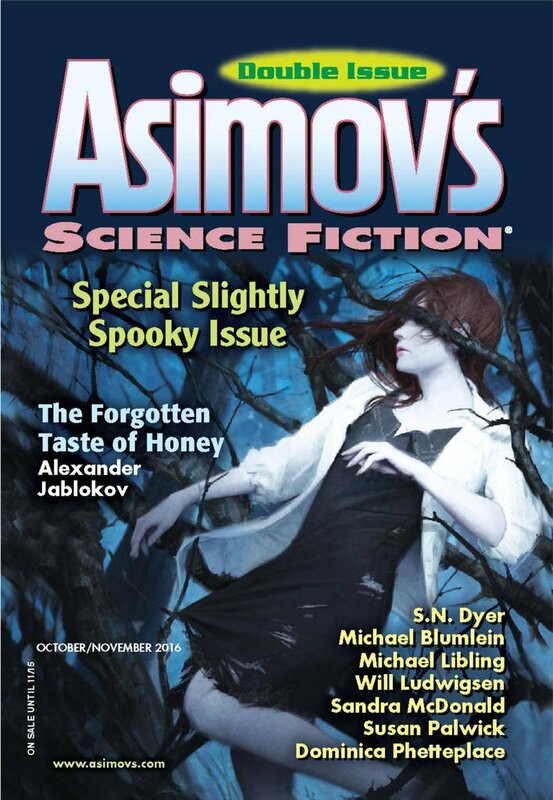 "Wretched the Romantic," by Michael Libling, appeared in Asimov's Science Fiction issue 10-11|16, published on September 22, 2016 by Penny Publications. Pro: Richard certainly turns his life around, and he even gets to date the weather lady before realizing Emma was all he ever wanted. Lots of laughs, albeit macabre ones. Con: It doesn't do much with its premise; gross enough that he's eating ashes to get abilities, but those abilities don't actually amount to much. We could almost believe that he imagined the whole thing.